A beautiful garden not only adds to the curb appeal of your home but also provides a great sense of satisfaction and contentment. At the same time, you know that gardening requires lots of time and effort. You can reduce the hassle and inconvenience in the process by investing in the right tools for the job. Luckily for you, there is no dearth of high-quality brands on the market, so you can rely on them to provide a versatile and durable tool. Speaking of names, you don’t get a better option than Black + Decker. The reputation of the company relies on their track record of quality and satisfaction. The transmission of this tiller is powerful. 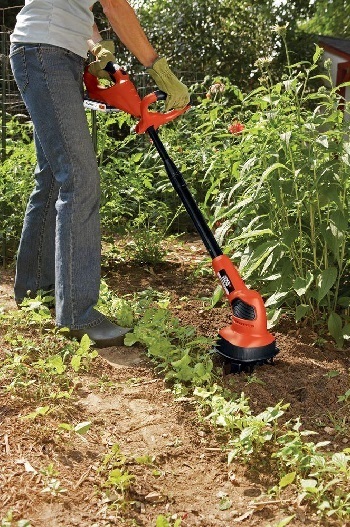 When using a gardening tool, you need the power to deal with weeds and vines, and other similar items. This feature will enable you to restore your garden to an optimal condition. The tiller features dual tines, which will allow you to break up the soil conveniently. You can expose the soil to moisture, nutrients, and air, thereby strengthening it and in the process, enhancing the appearance of your garden. The main source of power for this tiller is the 20V battery. The battery is available as part of the package and separately as well, allowing you to select the option that you feel is best for you. 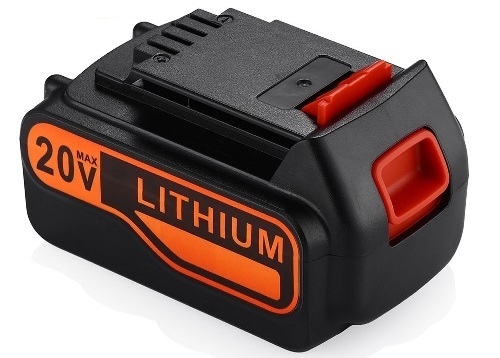 The battery features MAX lithium-ion technology. This technology ensures that the battery lasts longer, enabling you to get great value for your money. Plus, the battery retains its charging for longer than any other NiCad battery you might buy. Hence, you can operate the tiller for an extended period without worrying about the battery draining. On a single charge, you can cover up to 325 square feet. 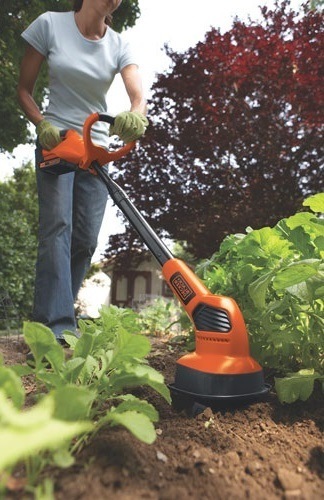 Even if you have to cultivate a large garden, you can easily d﻿﻿﻿﻿o the﻿﻿ job using the LGC120. 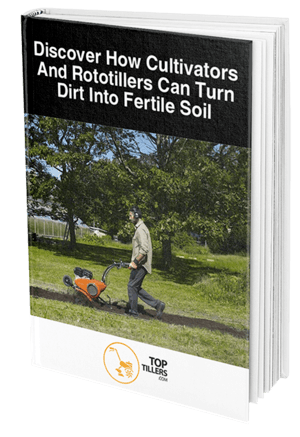 You can fertilize the soil, allowing the necessary air, nutrients, and water to reach the roots. The tiller features counter-oscillating tines. You can keep the weeds from tangling when you are working on the garden, which ensures you can clean up and redo your garden bed or landscape bed without hassle. Despite the high performance, the battery is lightweight. The weight of the battery is 50% lower than other models. Even after including the battery, the tiller weighs only 8.1 pounds. You can rest assured that the tiller is easy to operate and you can use it for a longer period without any excess strain or stress. You can reduce the fatigue in the process by investing in this product. Black + Decker offers a 2-year limited warranty on the unit. Keep in mind that the warranty also covers the battery and the charger, which virtually means it is a risk-free purchase for you. On average, people who have purchased the product from Amazon had a positive experience. Their reviews praise the design and performance of the tiller. A customer wrote that the tiller helps him complete gardening tasks without hassle, even when dealing with time-consuming tasks. He further stated that the tiller reduces the strain on his back, regardless of the length of time for which he uses it. A reviewer praised the product for the ease of use it offers. She continued, saying that she uses it for a wide variety of tasks in her garden. A customer offered a different viewpoint, stating that the tiller works perfectly on mountainous terrain. He stated that he had his friend used it and she was able to perform it without any problems. On the other hand, a few customers did not have a satisfactory experience when using this tiller. A customer wrote that he only managed to use it for a few feet even on a full charge, which raises some doubts about the charge retention, though a majority of the reviewers say that is not a problem. You can conveniently purchase this tiller on Amazon. Currently, it is available for around $120 with free shipping. Keep in mind that the price includes the 20V battery. You can also purchase the tiller without the battery for around $70. Shipping is free, so you don't have to worry about any additional costs when buying this tiller. Black + Decker is a reliable name in the industry, and you can have peace of mind that the product will deliver the performance you expect from it. Of course, you can look for a tiller that offers more power, but in that case, you have to spend more money than on this model. Overall, the LGC120 is among the best tillers you can find on the market today. The price of the product is low, especially when considering the price without the battery. You can easily evaluate the features of the tool and compare it to other models, which will give you a clearer idea of the quality you can expect. On Amazon, the product receives constant praise from customers. They are happy with the performance and features, and the value of money it offers. 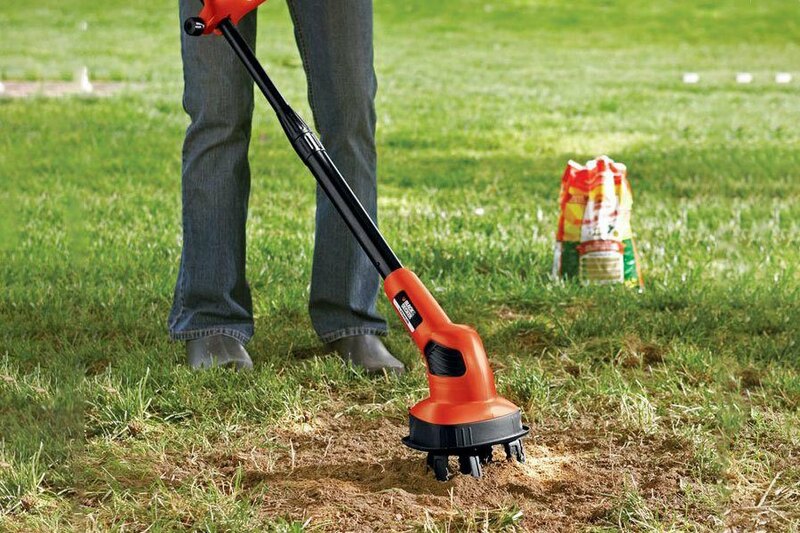 To conclude, you should consider purchasing this tiller if you want a handy gardening tool.